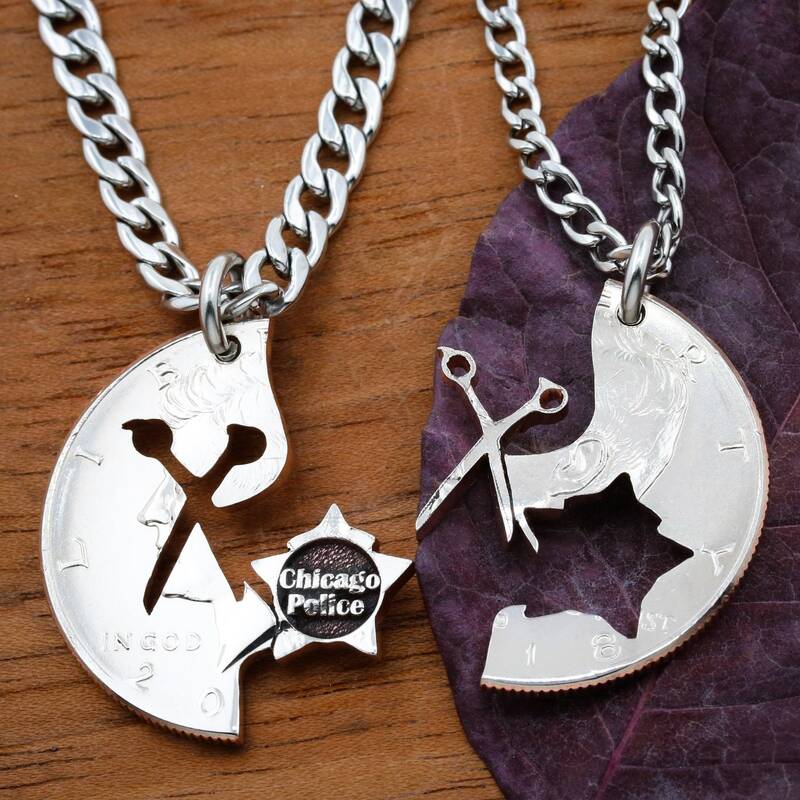 These two necklaces feature the police badge and a scissors of a hair stylist. Its perfect for law enforcement officers and their beauty field loved ones. 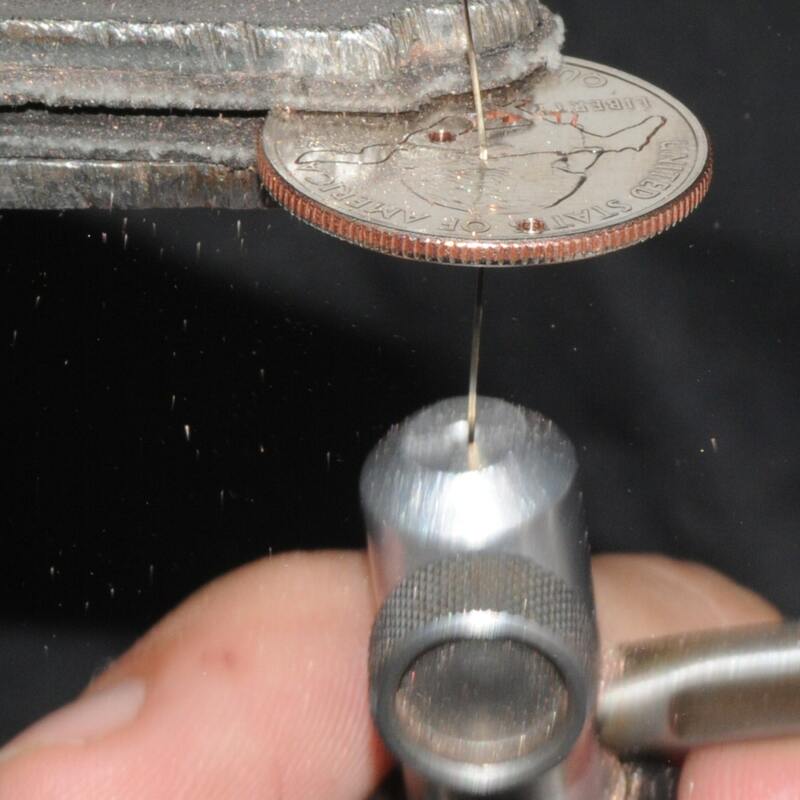 Each side is cut from the same coin and interlock perfectly together. 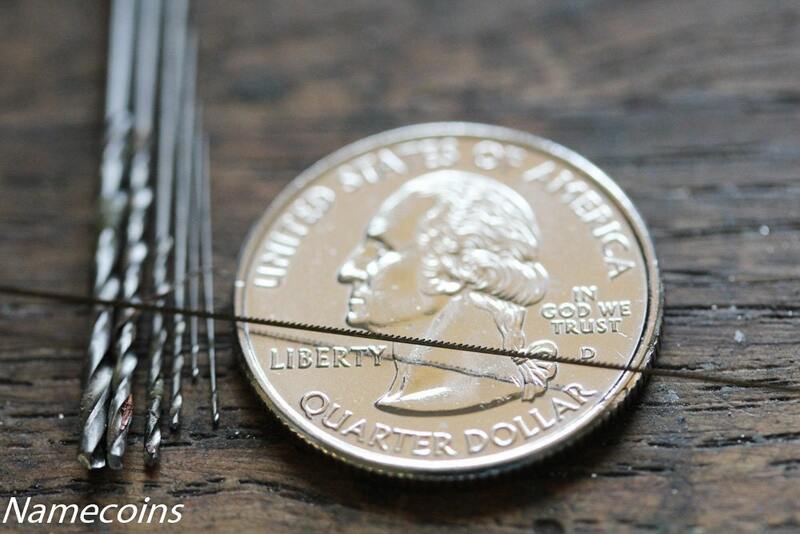 They are cut entirely by hand with a jewelers saw. 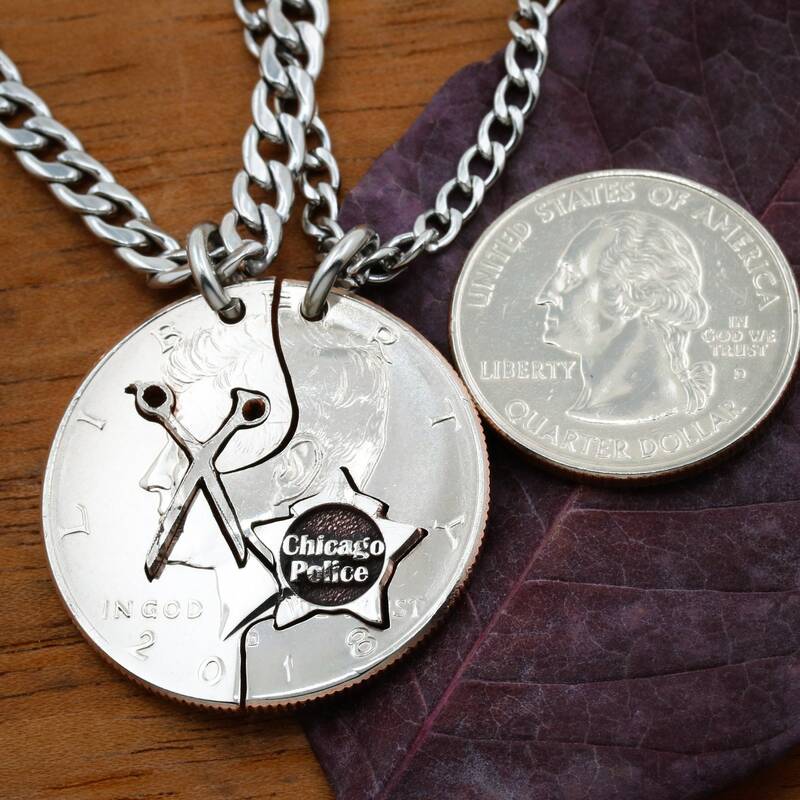 We engrave City of the Police officer deeply into the coin. We do offer custom engraving. Click on the request custom order button to get something personalized for you.